Oh my goodness, do I have a special place to share with you! I hope this post finds it's way into your life because this is exactly why I love to read travel blogs. I don't really have time to become invested in the ongoing day to day narrative of bloggers these days. What I'm looking for is ideas, suggestions, and inspiration when it comes to planning my own adventures. This year I remain passionate about travel blogging with intention, telling stories through photography and recalling my personal experiences in places that I hope you, the reader, will enjoy in the future. What Lune Travels Blog lacks in quantity, I hope I can make up in quality. The best part of blogging has always been knowing I helped introduce someone to a deserving destination, business or service that made their travels that much more special. 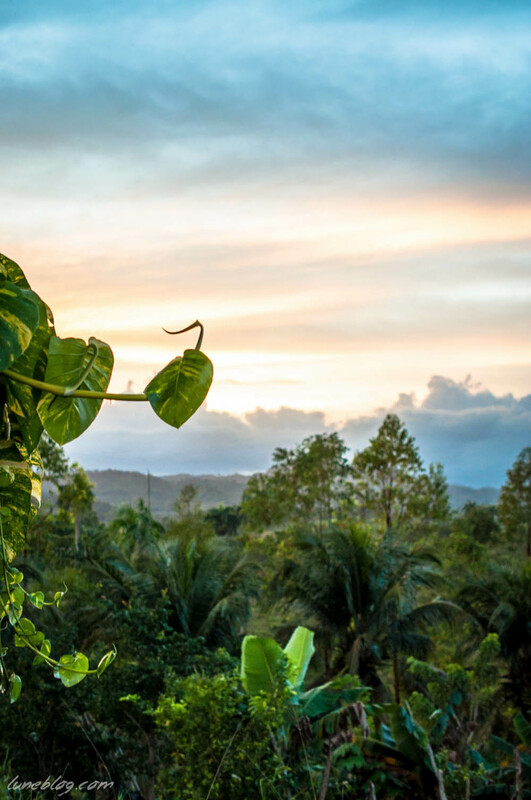 With that said, I'm pleased to share the unique beauty of the mountains of the Dominican Republic as seen on a warm January evening at Blue Moon Mountain Retreat & Restaurant. 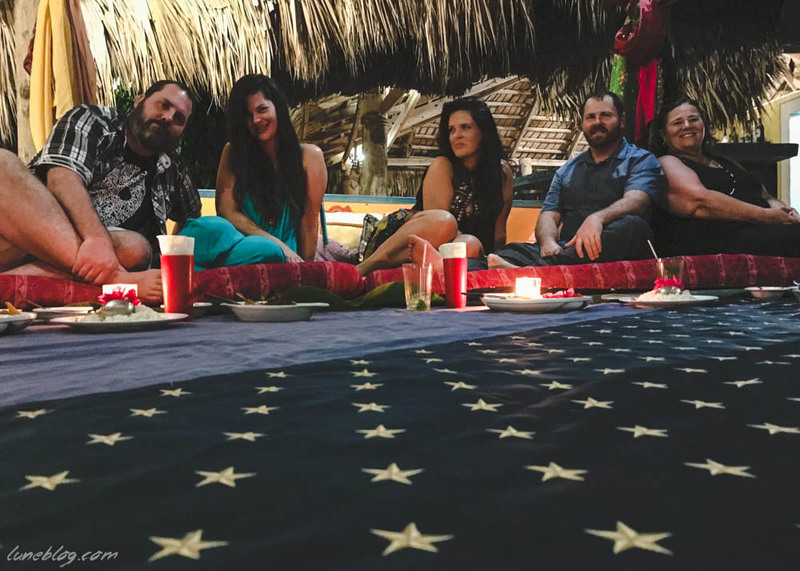 The last time we visited the Dominican Republic, we heard of a guide at a local beach bar that was assembling groups weekly to drive up into the foothills outside of Cabarete for an evening of good food & star gazing. The cuisine is a blend of Indian and Caribbean food, served on banana leaves and eaten with your hands with a view of the island countryside. This January we signed up in hopes of joining in. A few days later, we were on our way in a pair of transport vans, up the bumpy country road into the lush foothills of the Septentrional Mountains. Luckily the evening was perfectly beautiful with clouds parting just as the sun set, as shown in the vibrant sunset shots I took. Our guide was a German traveler & surfer who had settled in the D.R. because of it's friendly people and natural beauty. 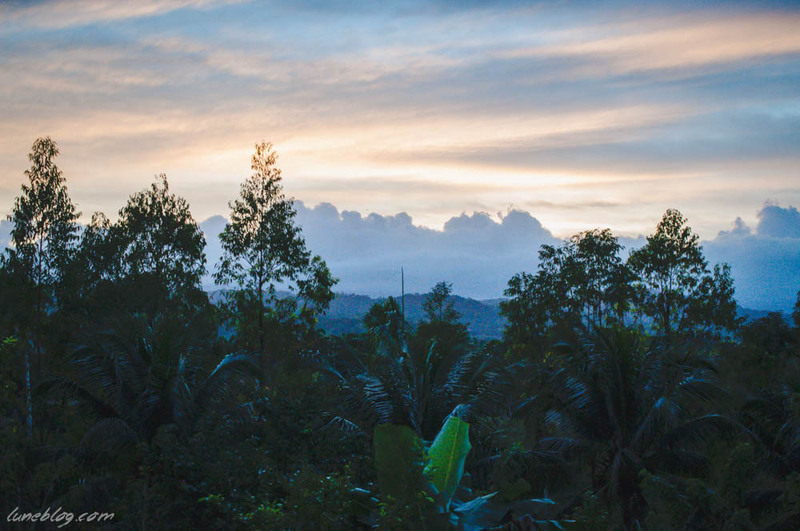 He shared his admiration for the island instantly by taking us up to appreciate the sunset over the rolling foothills. After mooning at the sunset and taking a few memorable golden hour portraits of one another, we headed back down the verdant slope toward the retreat grounds. Cocktail hour was accented by candlelight, a rising moon over the palms, and conversation with fellow travellers. Our host introduced herself, welcoming us to her retreat and told us about the fusion of Indian and Caribbean food she would be offering us that evening. 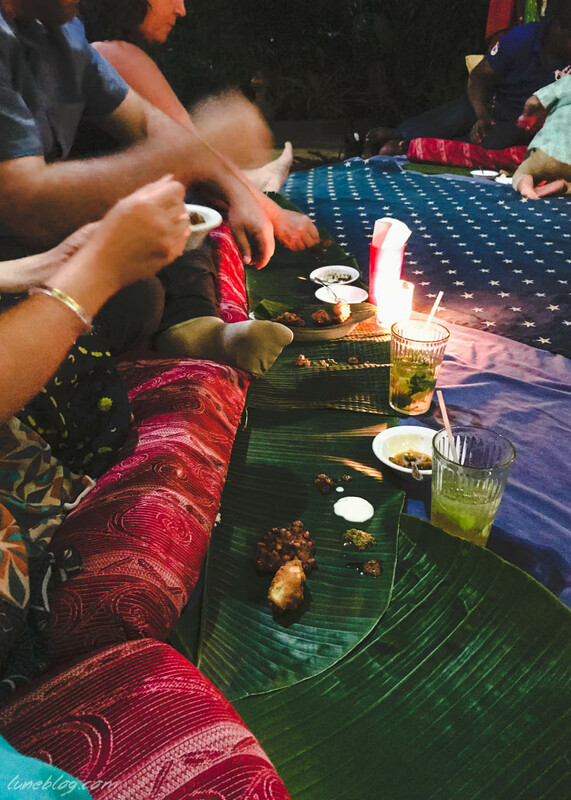 The banana leaves were laid out and we were instructed on how to eat with our fingers (as you might know, there is definitely a wrong way to do this). I managed to kick over a drink within minutes of sitting down on the circle of cushions but I'm sure you'll have much more luck at keeping it classy! What followed was a bounty of deliciously spiced pakoras, curries, spiced meats and chutneys. Yum! I apologize there are feet in all the food photos, but you just need to be laid back like that to enjoy this sort of thing, especially when you're not used to it. Some cramped legs aside (my sweet Todd didn't complain once despite the fact that I don't think i've ever seen him sit crossed legged in all the years we've been together) it was an incredibly enjoyable meal. Tea afterward was followed by a serious lounge and more memorable conversation with the group. It was difficult to leave as the evening grew on, but I am confident that if we return again, we'll make sure to visit Blue Moon restaurant again. It was a night I will always remember. If you are visiting the north shore of the Dominican Republic, you can inquire about the next group trip to Blue Moon at Voy Voy on Cabarete Beach. Sign up a few days before your expected evening out, as a large group is required to attend the retreat. We were able to join our smaller party of 5 with others and really enjoyed meeting other travellers. Visit www.bluemoonretreat.net for full details on their retreat, restaurant, and location. Enjoy!